Barry E. Clarkson has a 5/5 Customer Rating and AV Preeminent Peer Rating by Martindale-Hubbell and Lawyers.com. Barry is one of the founding members and the current managing member of the law firm Clarkson & Associates, LLC (formerly Clarkson & Draper then Clarkson Draper & Beckstrom, LLC). 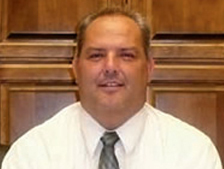 Barry has trial experience, as well as appellate work, in both Utah and Nevada. He currently focuses on complex business and real estate transactions in addition to estate planning. He represents developers, architects, engineers, contractors and non-profit organizations. Barry has had primary responsibility for include the development, sales, construction, management, and leasing of office buildings, malls and retail stores, housing developments of various sizes, golf courses, and medical facilities. In addition, Barry has worked extensively in the areas of the establishment of businesses, structuring, business plans, private and public financing, and business operations and procedures. He has handled the sale and purchase of numerous businesses both locally as well as nationally. Barry received his Juris Doctorate Degree from California Western School of Law, a private law school in San Diego California. While attending California Western School of Law, he was the recipient of the American Jurisprudence Bancroft-Whitney Award for Excellence in Contracts, and the Corpus Juris Secundum Award for Scholastic Excellence in Contracts. Barry has also received a Master of Arts Degree, in Languages and Literature as well as a Bachelors Degree from the University of Utah. However, based on his simple beginnings in Kanab, Utah, he has not forgotten what it takes to “sell them ole’ cows” which translates into effective, efficient and honest advocacy in getting a deal done. Barry is very active in the community, serving in various capacities and on various boards related to local health care, higher education, and charitable organizations which he helped to form. As an Eagle Scout and the father of four boys, Barry is actively involved in local sporting events and is a staunch supporter of the Boys Scouts of America organization.